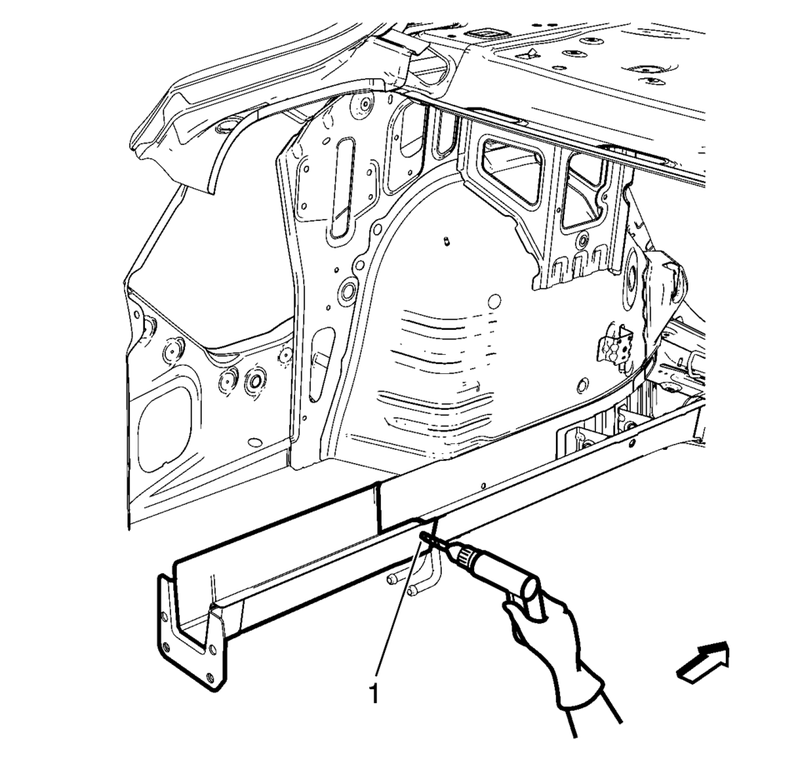 Remove the damaged rear side rail extension (1). 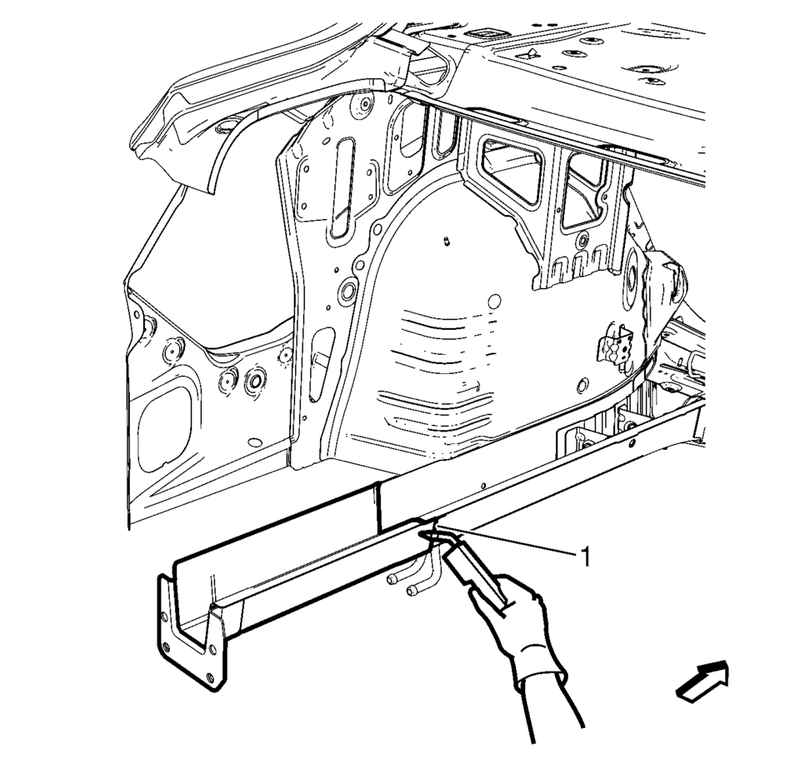 holes for plug welding along the edges of the rear side rail extension (1) as noted from the original panel. 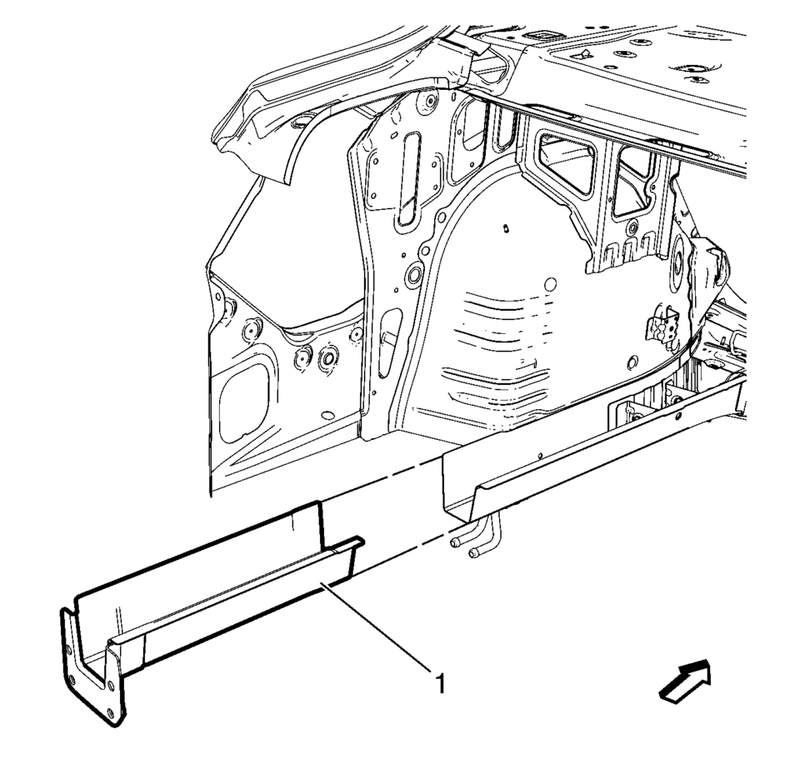 Position the rear side rail extension on the vehicle (1). 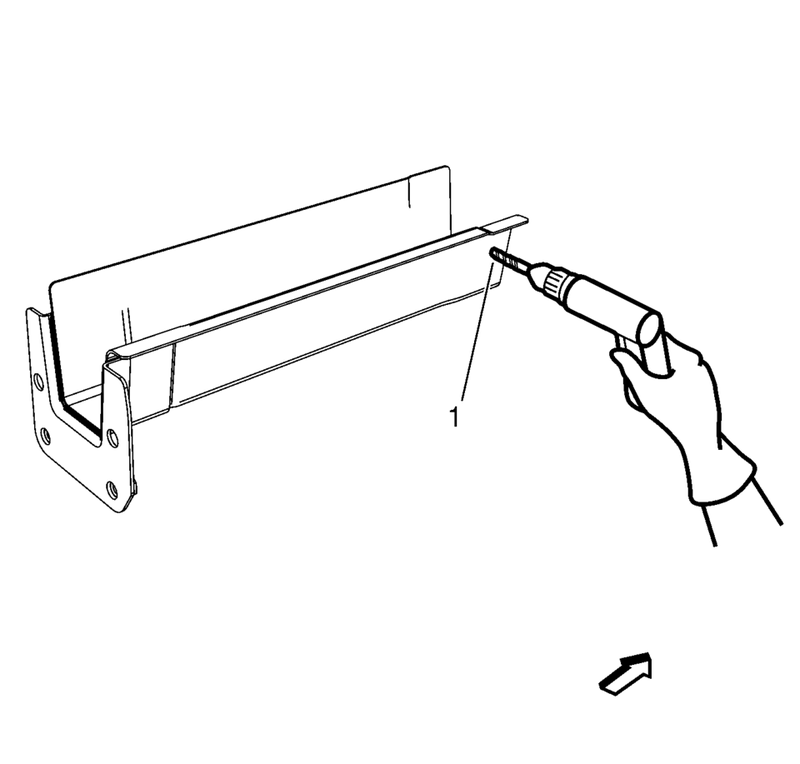 Verify the fit of the rear side rail extension. Clamp the rear side rail extension into position.